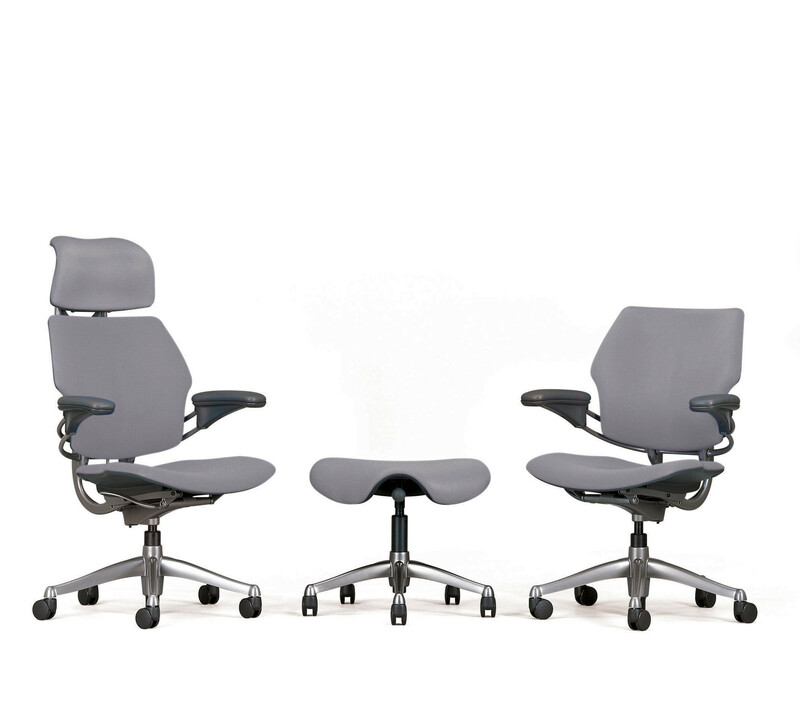 Freedom Task Chair by Niels Diffrient has raised the bar for the office chair industry, having been described by The New York Times as "the gold standard in office seating" from Humanscale. 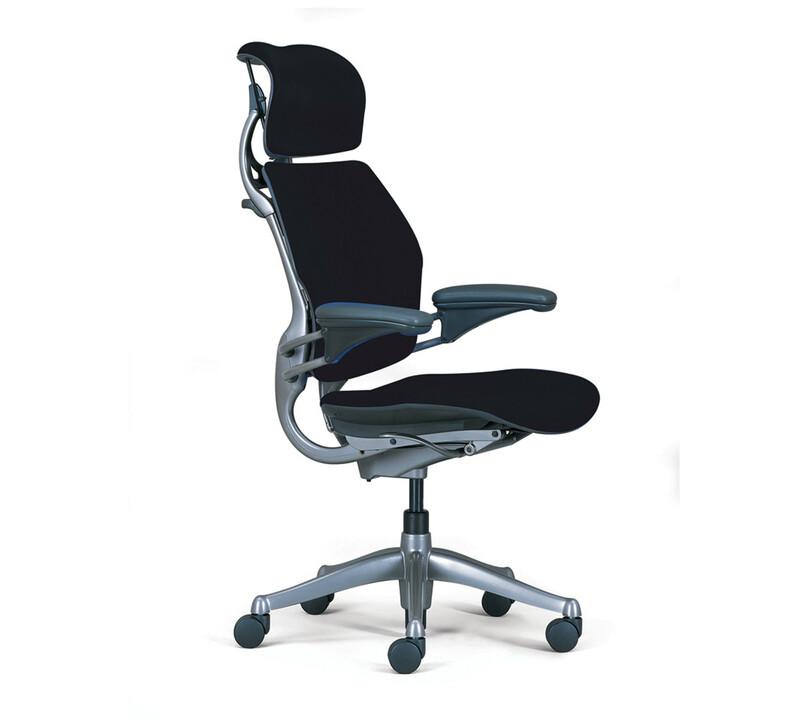 The idea is that the Freedom Office Task Chair's movement - something essential for a healthy body - shouldn't be constricted by locking mechanisms and manual controls like other office chairs. 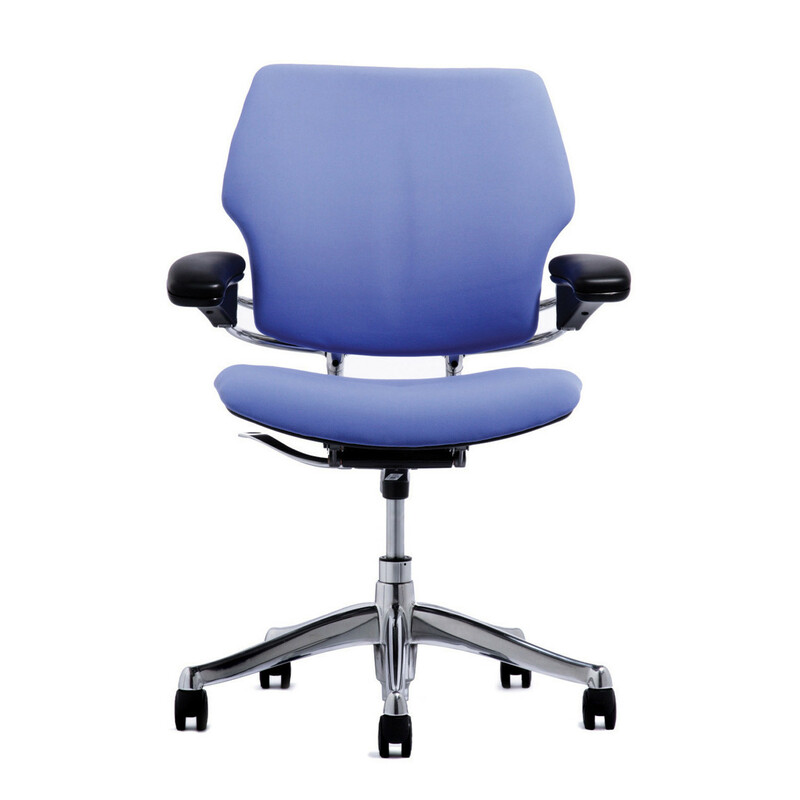 In other words, sitting comfortably isn't something you should have to think about. 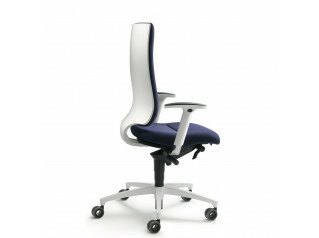 Niels designed Freedom Desk Chair for Humanscale to give the maximum ergonomic benefit to the user with a minimal number of manually-adjusted controls. 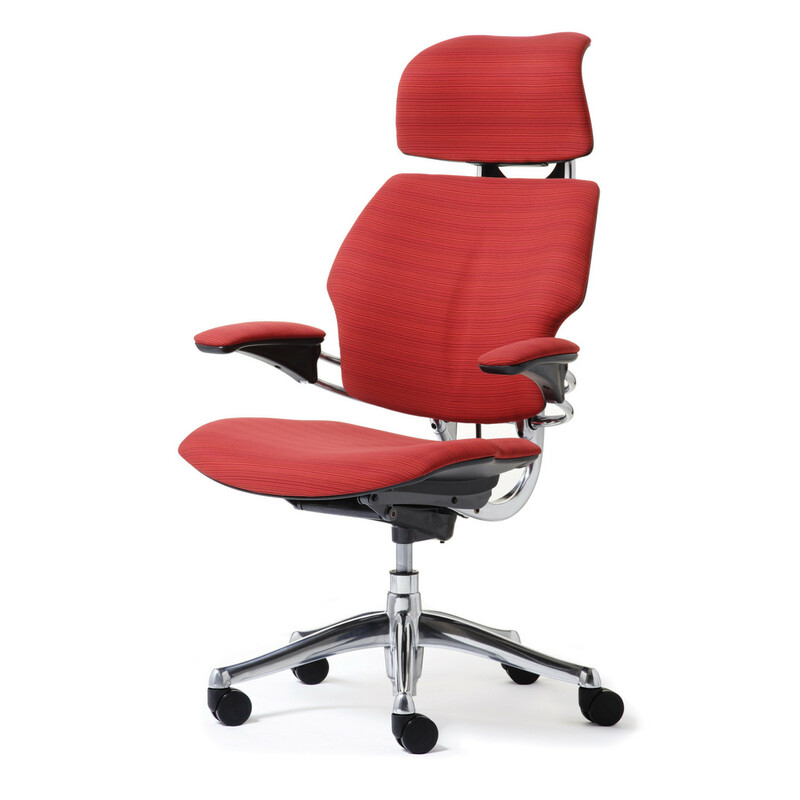 Its weight-sensitive recline, synchronously adjustable armrests, and dynamically positioned headrest set new standards for office task chair performance and functionality to keep the sitter exceptionally comfortable while also lowering the risk of long-term injury. 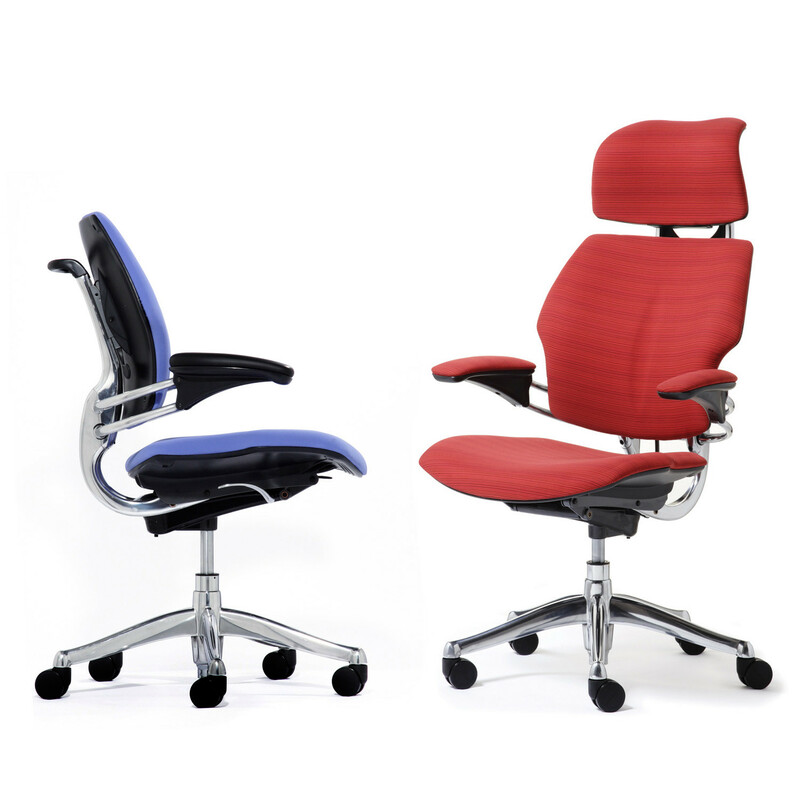 What's more, once the Freedom Ergonomic Task Chair is fitted, no further adjustment is required. 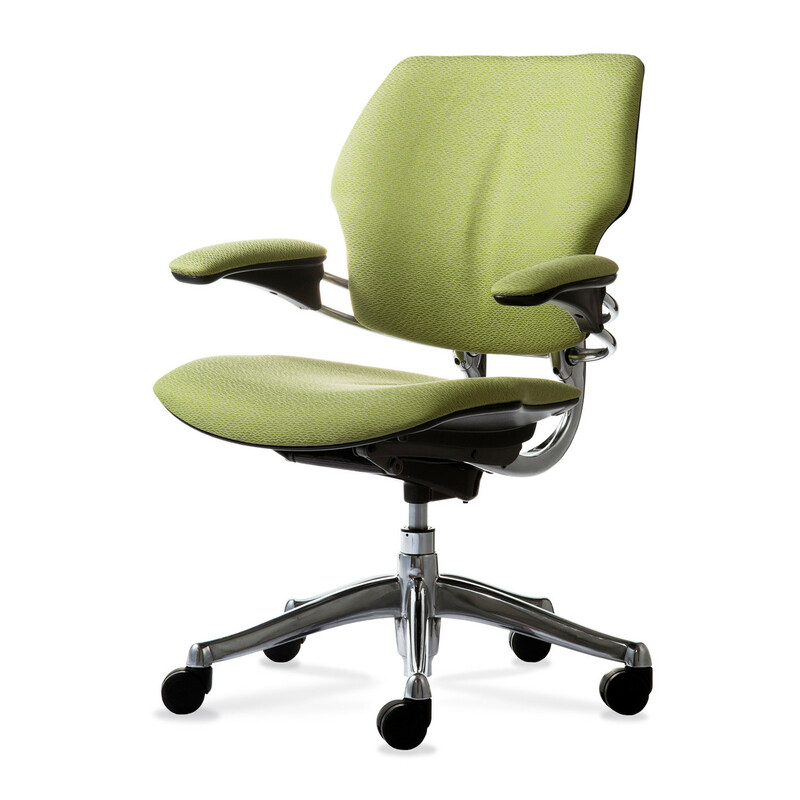 Automatic Headrest - Freedom Office Task Chair’s dynamic, position-sensitive articulating headrest adjusts to cradle your head and neck as you recline, and moves out of the way when you sit upright automatically. 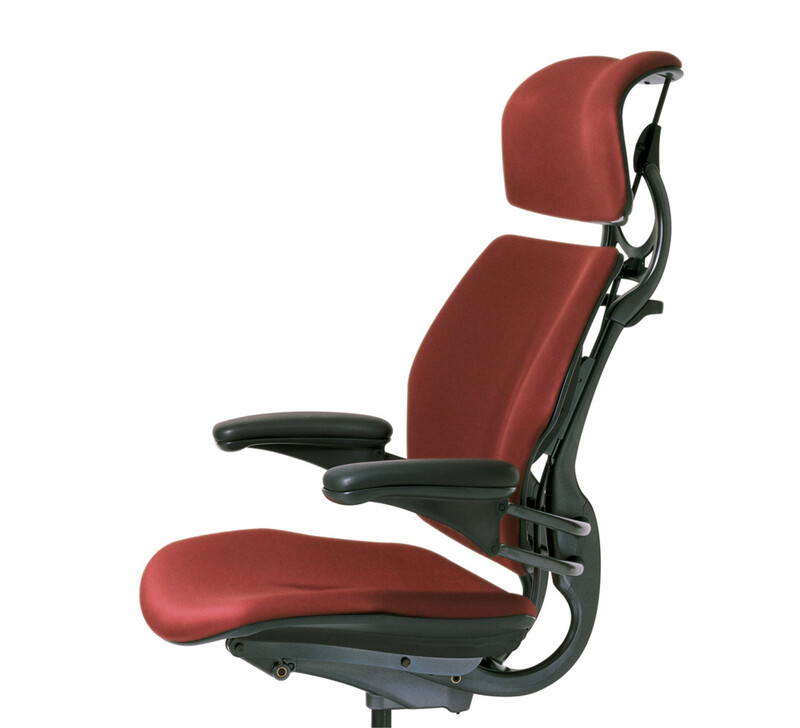 Self Adjusting Recline Action - Freedom uses your own body weight combined with science to provide automatic self adjusting reclination. 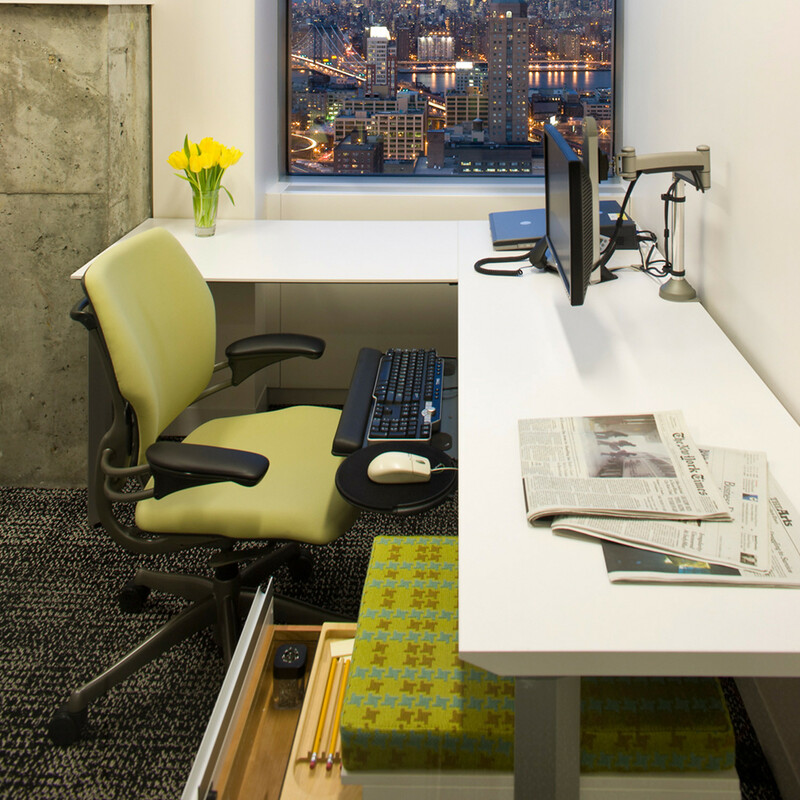 As you recline you’ll maintain a near-constant eye level, while the angle between your torso and legs opens up for better body function. Contoured Cushions - The cushions are sculpted to closely follow body contours, which increases contact and decreases concentrated loads. 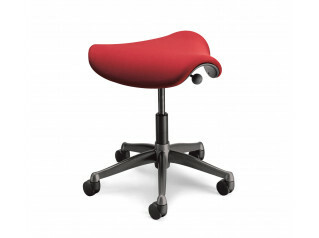 Humanscale’s optional Technogel seat cushion maximizes weight distribution and comfort. 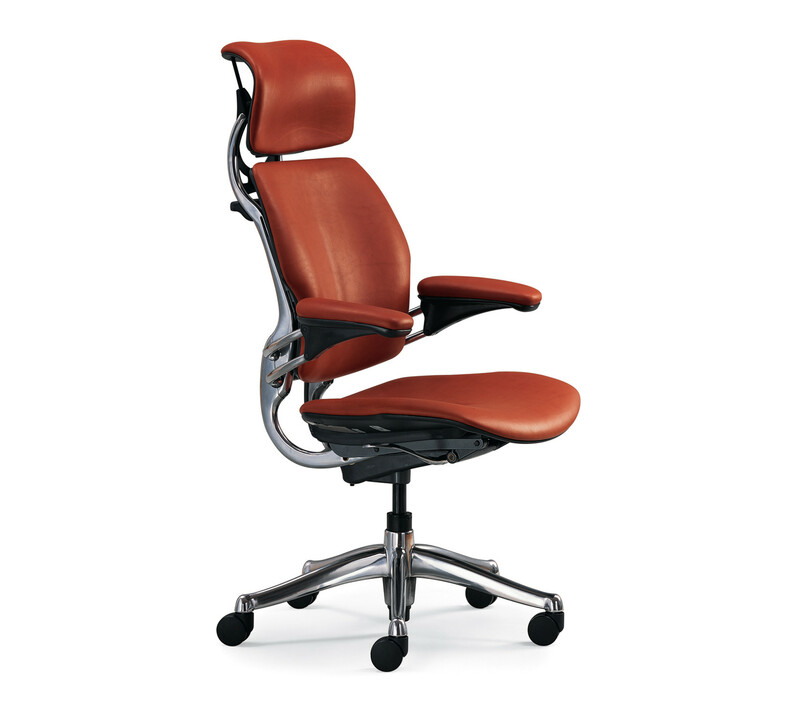 Freedom Swivel Office Chair is a winner of 10 design awards to date, including the Design Distinction Award in the prestigious ID Design Review 2000 competition. 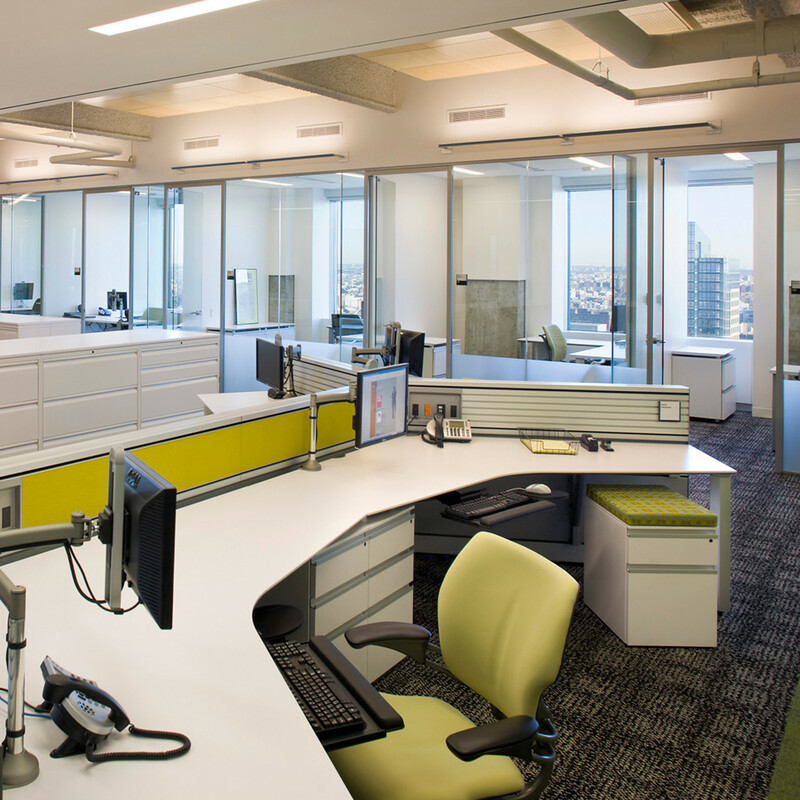 View more fruniture from Humanscale. 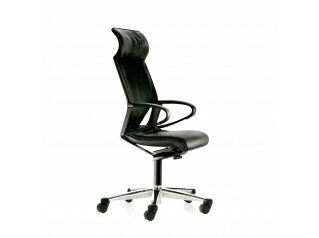 You are requesting a price for the "Freedom Task Chair"
To create a new project and add "Freedom Task Chair" to it please click the button below. 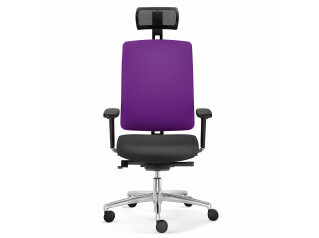 To add "Freedom Task Chair" to an existing project please select below.